Alfie Moore - I want a comedy night! 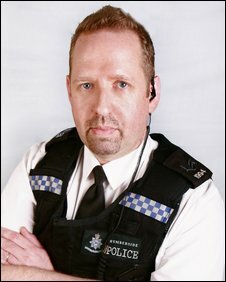 When police sergeant Alfie Moore entered a stand up comedy competition in 2007 he had no idea it would eventually lead to him swapping his truncheon for a microphone on a much more permanent basis! The transition was smoother than most would suspect too with working nights and abuse from drunken strangers being just two of the things they held in common. Having brought a wealth of insights and comedy moments from his eighteen years on the beat, Alfie has now matured as a comedian and often touches on the ‘day job’ only briefly in his club set. Support slots on Sarah Millican, Russell Kane and Milton Jones on their national comedy tours have brought him to a wider crowd as have appearances on BBC, ITV, Channel 4 and Channel 5. 2014 saw Alfie sell out every night on his Edinburgh Fringe run which is virtually unheard of without years of TV exposure and his BBC Radio 4 comedy series ‘It’s A Fair Cop’ broadcast during July. Following exceptional feedback a second series has been commission and is due to air during summer 2015. 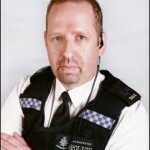 TV includes ITV1′s Show Me The Funny and he wrote and presented ‘Alfie Moore’s Almanac’ for BBC Radio, Channel 5’s The Wright Stuff and BBC3′s Bizarre Crime.